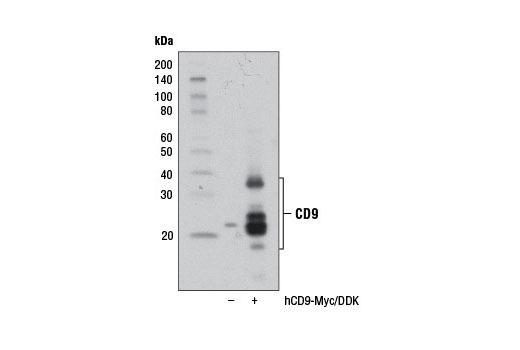 Background: CD68 (macrosialin) is a heavily glycosylated transmembrane protein that is expressed by and commonly used as a marker for monocytes and macrophages (1, 2). It is found on the plasma membrane, as well as endosomal and lysosomal membranes (1-3). 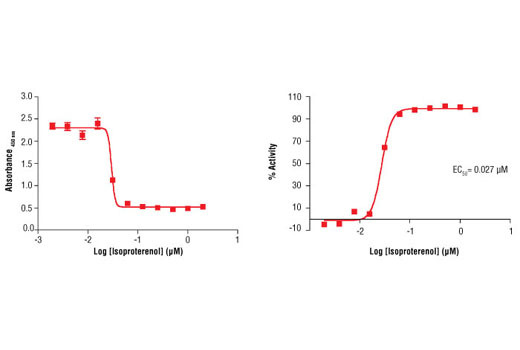 It is proposed to bind OxLDL and has been observed as a homodimer (3, 4). 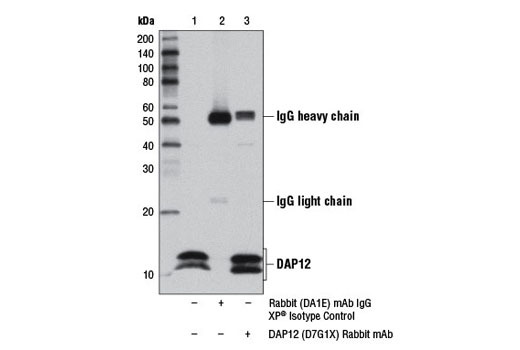 Background: DNAX-activating protein 12 (DAP12, TYROBP) is a signaling adaptor for several pathogen receptors expressed by cells of the innate immune system (1). 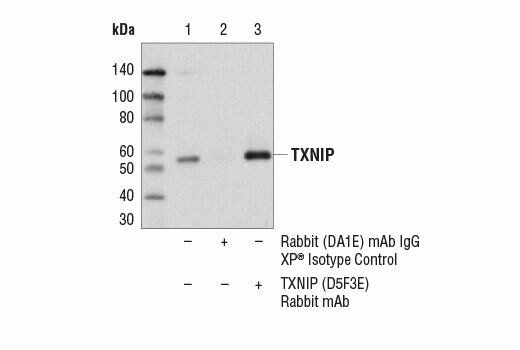 The DAP12 protein structure consists of a short extracellular domain, a transmembrane domain, and a cytoplasmic immunoreceptor tyrosine-based activation motif (ITAM) (2). 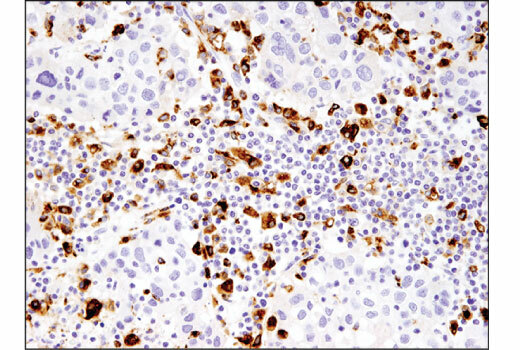 DAP12 protein is expressed by hematopoietic cells, including NK cells, monocytes, macrophages, dendritic cells, mast cells, basophils, eosinophils, neutrophils, and some γδ T cells and NKT cells (1). DAP12 exists as a homodimer that associates with a variety of receptors involved in pathogen detection, including the KIR family of NK cell receptors (2,3). Ligand binding by DAP12-associated receptors results in phosphorylation of tyrosine residues within the DAP12 ITAM by Src family kinases and leads to activation of Syk or Zap-70 and downstream signaling responses (2). Background: Members of the Smad family of signal transduction molecules are components of a critical intracellular pathway that transmit TGF-β signals from the cell surface into the nucleus. 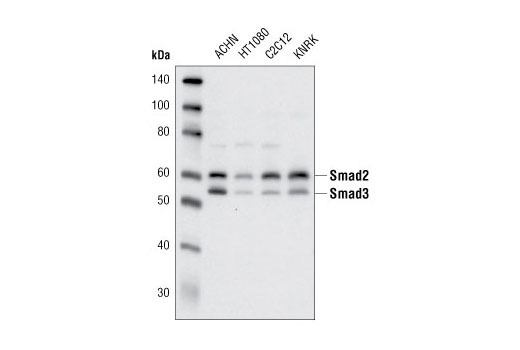 Three distinct classes of Smads have been defined: the receptor-regulated Smads (R-Smads), which include Smad1, 2, 3, 5, and 8; the common-mediator Smad (co-Smad), Smad4; and the antagonistic or inhibitory Smads (I-Smads), Smad6 and 7 (1-5). Activated type I receptors associate with specific R-Smads and phosphorylate them on a conserved carboxy terminal SSXS motif. The phosphorylated R-Smad dissociates from the receptor and forms a heteromeric complex with the co-Smad (Smad4), allowing translocation of the complex to the nucleus. Once in the nucleus, Smads can target a variety of DNA binding proteins to regulate transcriptional responses (6-8). 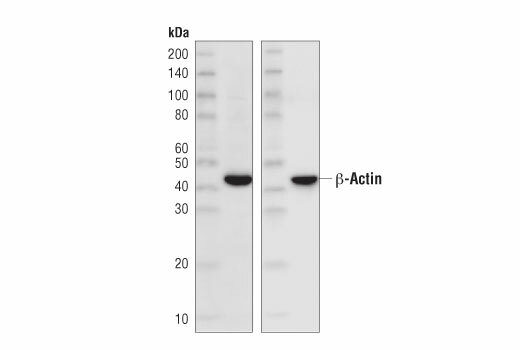 This Cell Signaling Technology product is useful for the detection of biotinylated proteins (1,2). 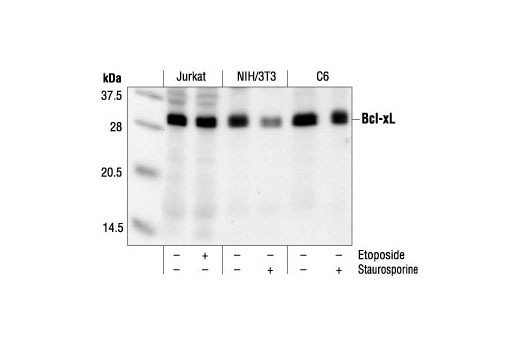 Conjugation of horseradish peroxidase (HRP) to streptavidin is obtained by cross linking the amino groups on streptavidin with the carbohydrate groups on HRP. Background: During their synthesis, secretory proteins translocate into the endoplasmic reticulum (ER) where they are post-translationally modified and properly folded. To reach their native conformation, many secretory proteins require the formation of intra- or inter-molecular disulfide bonds (1). This process is called oxidative protein folding. Protein disulfide isomerase (PDI) catalyzes the formation and isomerization of these disulfide bonds (2). Studies on mechanisms of oxidative folding suggest that molecular oxygen oxidizes the ER-protein Ero1, which in turn oxidizes PDI through disulfide exchange (3). This event is then followed by PDI-catalyzed disulfide bond formation in folding proteins (3). Background: Lamins are nuclear membrane structural components that are important in maintaining normal cell functions, such as cell cycle control, DNA replication, and chromatin organization (1-3). Lamins have been subdivided into types A and B. Type-A lamins consist of lamin A and C, which arise from alternative splicing of the lamin A gene LMNA. 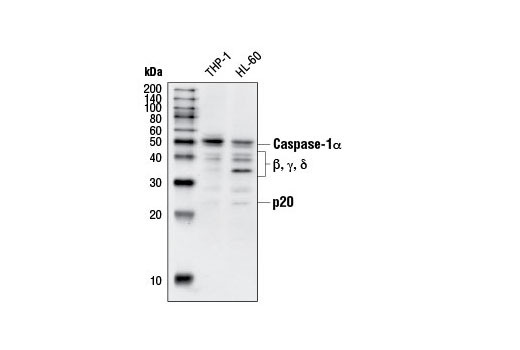 Lamin A and C are cleaved by caspases into large (41-50 kDa) and small (28 kDa) fragments, which can be used as markers for apoptosis (4,5). Type-B lamins consist of lamin B1 and B2, encoded by separate genes (6-8). 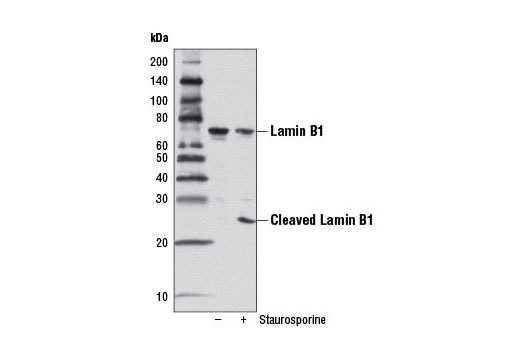 Lamin B1 is also cleaved by caspases during apoptosis (9). Research studies have shown that duplication of the lamin B1 gene LMNB1 is correlated with pathogenesis of the neurological disorder adult-onset leukodystrophy (10). 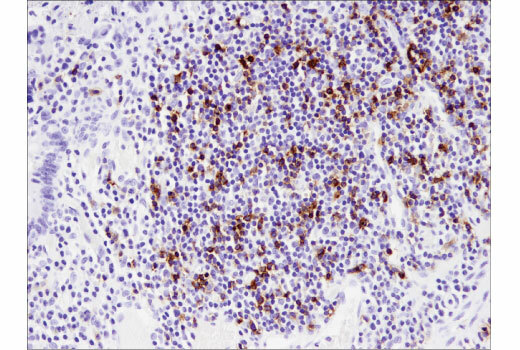 Background: The programmed cell death 1 protein (PD-1, PDCD1, CD279) is a member of the CD28 family of immunoreceptors that regulate T cell activation and immune responses (1-3). The PD-1 protein contains an extracellular Ig V domain, a transmembrane domain, and a cytoplasmic tail that includes an immunoreceptor tyrosine-based inhibitory motif (ITIM) and an immunoreceptor tyrosine-based switch motif (ITSM). 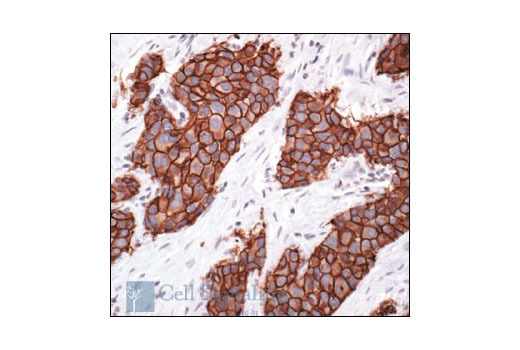 PD-1 is activated by the cell surface ligands PD-L1 and PD-L2 (4). 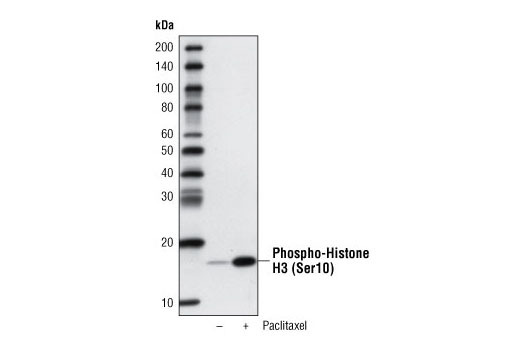 Upon activation, PD-1 ITIM and ITSM phosphorylation leads to the recruitment of the protein tyrosine phosphatases SHP-1 and SHP-2, which suppress TCR signaling (5-7). 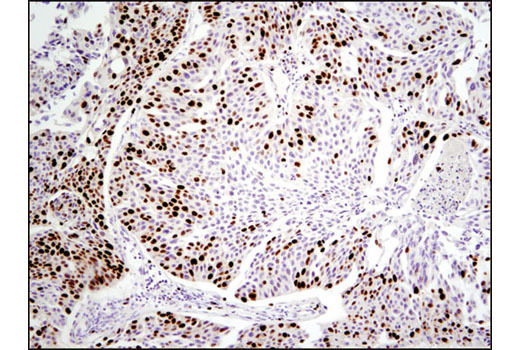 In addition to activated T-cells, PD-1 is expressed in activated B-cells and monocytes, although its function in these cell types has not been fully characterized (8). 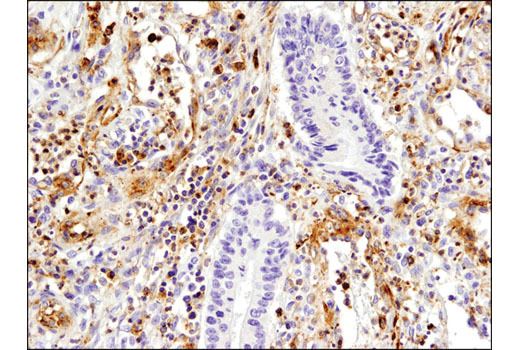 The PD-1 pathway plays an important role in immune tolerance (3); however, research studies show that cancer cells often adopt this pathway to escape immune surveillance (9). 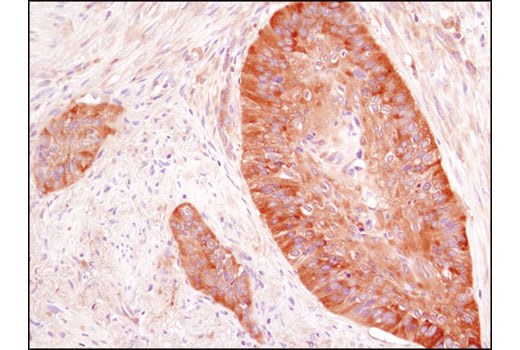 Consequently, blockade of PD-1 and its ligands is proving to be a sound strategy for neoplastic intervention (10). 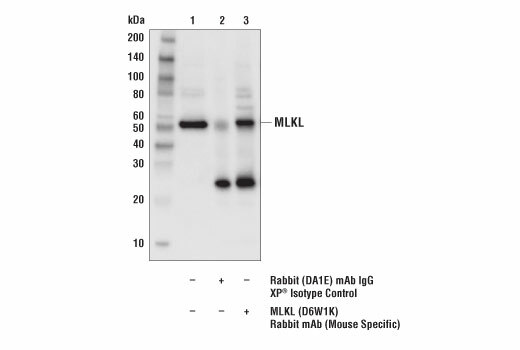 The XTT Cell Viability Assay Kit is a colorimetric assay that detects the cellular metabolic activities. 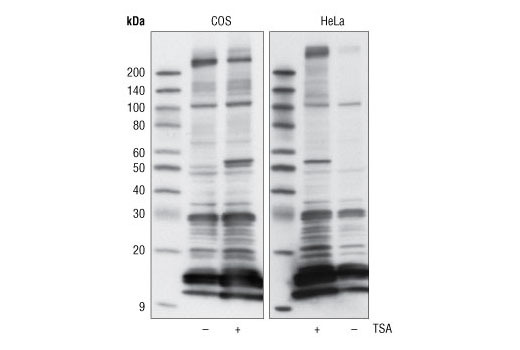 During the assay, the yellow tetrazolium salt XTT is reduced to a highly colored formazan dye by dehydrogenase enzymes in metabolically active cells. 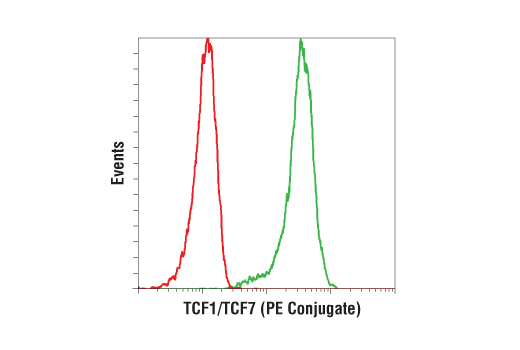 This conversion only occurs in viable cells and thus, the amount of the formazan produced is proportional to viable cells in the sample. The formazan dye formed in the assay is soluble in aqueous solution and can be quantified by measuring the absorbance at wavelength 450 nm using a spectrophotometer. An electron coupling reagent, such as PMS (N-Methylphenazonium methyl sulfate), can significantly improve the efficiency of XTT reduction in cells. 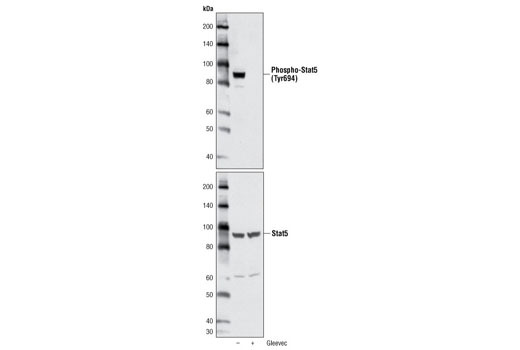 Background: Stat5 is activated in response to a wide variety of ligands including IL-2, GM-CSF, growth hormone and prolactin. 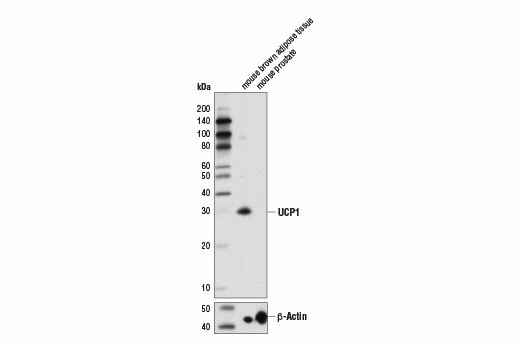 Phosphorylation at Tyr694 is obligatory for Stat5 activation (1,2). This phosphorylation is mediated by Src upon erythropoietin stimulation (3). 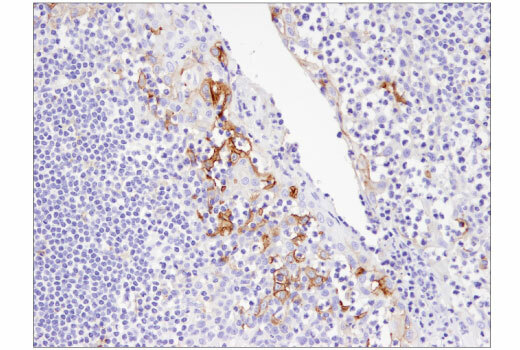 Stat5 is constitutively active in some leukemic cell types (4). Phosphorylated Stat5 is found in some endothelial cells treated with IL-3, which suggests its involvement in angiogenesis and cell motility (5). 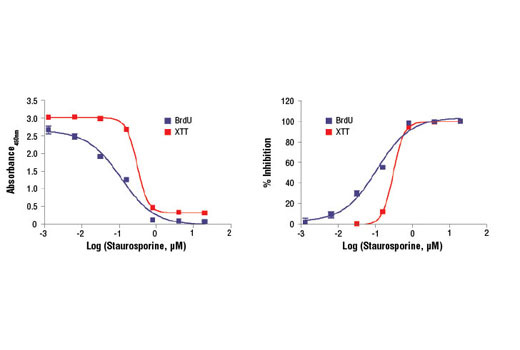 Stat5a and Stat5b are independently regulated and activated in various cell types. For instance, interferon treatment predominantly activates Stat5a in U-937 cells and Stat5b in HeLa cells (6). Background: Lysosome-associated membrane protein 1 and 2 (LAMP1 and LAMP2) are two abundant lysosomal membrane proteins (1,2). Both are transmembrane proteins and are heavily glycosylated at the amino-terminal luminal side of the lysosomal inner leaflet, which protects the proteins from proteolysis (3). The carboxy terminus of LAMP1 is exposed to the cytoplasm and contains a tyrosine sorting motif that targets LAMP to lysosomal membranes (4). LAMP1 and LAMP2 are 37% homologous in their protein sequences. 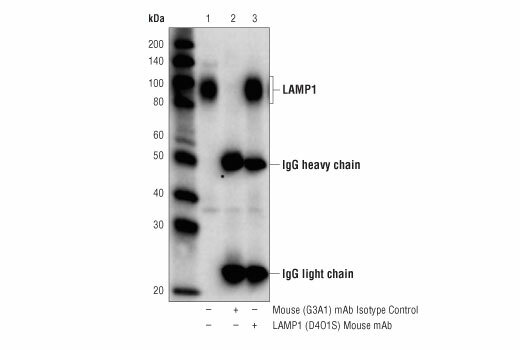 Both LAMP1 and LAMP2 are involved in regulating lysosomal motility during lysosome-phagosome fusion and cholesterol trafficking (5,6). Background: The ErbB2 (HER2) proto-oncogene encodes a 185 kDa transmembrane, receptor-like glycoprotein with intrinsic tyrosine kinase activity (1). While ErbB2 lacks an identified ligand, ErbB2 kinase activity can be activated in the absence of a ligand when overexpressed and through heteromeric associations with other ErbB family members (2). Amplification of the ErbB2 gene and overexpression of its product are detected in almost 40% of human breast cancers (3). 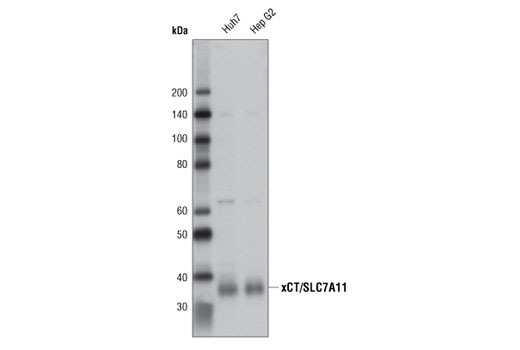 Binding of the c-Cbl ubiquitin ligase to ErbB2 at Tyr1112 leads to ErbB2 poly-ubiquitination and enhances degradation of this kinase (4). ErbB2 is a key therapeutic target in the treatment of breast cancer and other carcinomas and targeting the regulation of ErbB2 degradation by the c-Cbl-regulated proteolytic pathway is one potential therapeutic strategy. 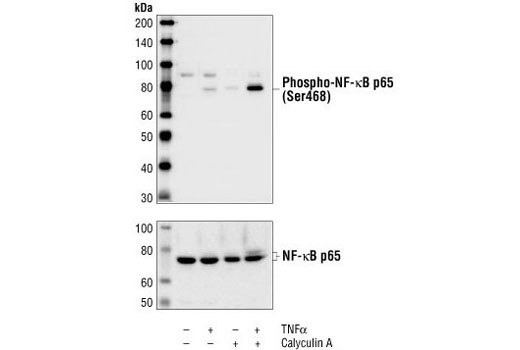 Phosphorylation of the kinase domain residue Tyr877 of ErbB2 (homologous to Tyr416 of pp60c-Src) may be involved in regulating ErbB2 biological activity. 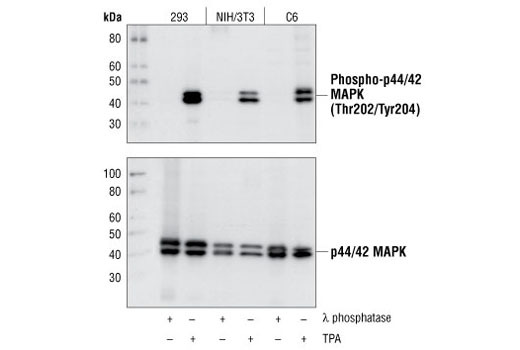 The major autophosphorylation sites in ErbB2 are Tyr1248 and Tyr1221/1222; phosphorylation of these sites couples ErbB2 to the Ras-Raf-MAP kinase signal transduction pathway (1,5). Background: Interleukin-1 (IL-1) receptor-associated kinase (IRAK) is a serine/threonine-specific kinase that can be coprecipitated in an IL-1-inducible manner with the IL-1 receptor (1). The mammalian family of IRAK molecules contains four members (IRAK1, IRAK2, IRAK3/IRAK-M, and IRAK4). The binding of IL-1 to IL-1 receptor type I (IL-1RI) initiates the formation of a complex that includes IL-1RI, AcP, MyD88, and IRAKs (2). 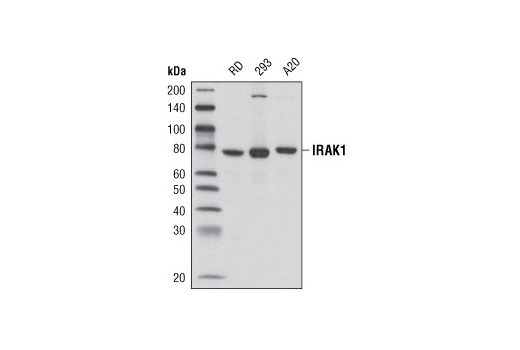 IRAK undergoes autophosphorylation shortly after IL-1 stimulation. 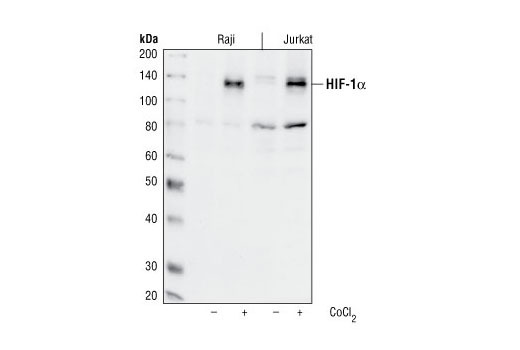 The subsequent events involve IRAK dissociation from the IL-1RI complex, its ubiquitination, and its association with two membrane-bound proteins: TAB2 and TRAF6. The resulting IRAK-TRAF6-TAB2 complex is then released into the cytoplasm where it activates protein kinase cascades, including TAK1, IKKs, and the stress-activated kinases (3). Background: The CD9 antigen belongs to the tetraspanin family of cell surface glycoproteins, and is characterized by four transmembrane domains, one short extracellular domain (ECL1), and one long extracellular domain (ECL2). 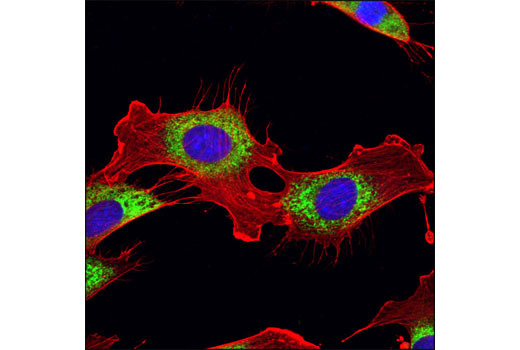 Tetraspanins interact with a variety of cell surface proteins and intracellular signaling molecules in specialized tetraspanin-enriched microdomains (TEMs), where they mediate a range of processes including adhesion, motility, membrane organization, and signal transduction (1). Research studies demonstrate that CD9 expression on the egg is required for gamete fusion during fertilization (2-4). CD9 was also shown to play a role in dendritic cell migration, megakaryocyte differentiation, and homing of cord blood CD34+ hematopoietic progenitors to the bone marrow (5-7). In addition, down regulation of CD9 expression is associated with poor prognosis and progression of several types of cancer (8-10). Additional research identified CD9 as an abundant component of exosomes, and may play some role in the fusion of these secreted membrane vesicles with recipient cells (11). Background: VISTA (V-Domain Ig Suppressor of T Cell Activation) is a negative checkpoint control protein that regulates T cell activation and immune responses. VISTA, which contains a single Ig-like V-type domain, a transmembrane domain, and an intracellular domain, has sequence similarity to both the B7 and CD28 family members. Although primarily expressed by myeloid cells, VISTA is also expressed by CD4+, CD8+, and FoxP3+ T-cells. Thus, VISTA is described as both a ligand and a receptor (1-3). Blocking VISTA induces T-cell activation and proliferation, and potentiates disease severity in the EAE model (1). Furthermore, genetic deletion of VISTA in mice leads to spontaneous T-cell activation and chronic inflammation (4,5). In mouse models of cancer, neutralization of VISTA enhances T-cell proliferation and effector function and increases tumor infiltration, suggesting VISTA blockade could be an effective strategy for tumor immunotherapy (6,7).